Carvajal: "Lucky to be in a fantastic team"
Hamburg – Daniel Carvajal took a gamble last season by swapping Real Madrid Castilla, the Spanish heavyweights' feeder team, for Bayer 04 Leverkusen. The move has paid off in style for the 21-year-old right back, who hit the ground running in his first Bundesliga season: 32 appearances, 31 in the starting XI, seven assists and a debut top-flight goal thrown in for good measure. After the final league game of the season at Hamburger SV, spoke with bundesliga.com about his personal progress at Leverkusen and his impressions of the Bundesliga. bundesliga.com: Daniel Carvajal, congratulations - your first Bundesliga season with Bayer Leverkusen has ended with qualification for the Champions League. Daniel Carvajal: Thank you! It’s a really great feeling. I’m lucky to be playing in such a fantastic team and it makes me all the more delighted to have appeared in so many matches this season. bundesliga.com: Is this how you imagined your first season in the Bundesliga would be? Carvajal: I did have a few doubts since I'd only played in the Spanish Third Division for Real Madrid’s reserve team, but I managed to adjust to the new surroundings here very quickly. And I was fortunate that the coaches showed complete faith in me. bundesliga.com: Do you like German football? Carvajal: Yes, absolutely. I like the way it’s played, especially the Bayer Leverkusen tactical system and philosophy. Of course, I'm trying to improve every day to fit in even better. bundesliga.com: And what differences have you noticed compared to Spanish football? 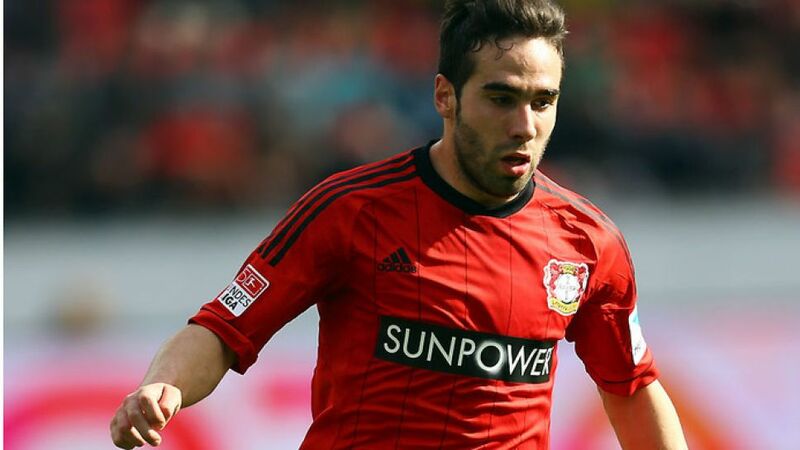 Carvajal: The games are more intense in Germany. The transition from defence to attack is far quicker. In Spain, you'll more often have a bit of a break in between. bundesliga.com: Stefan Kießling has won the top scorer cannon for the first time. What do you make of your teammate? Carvajal: He totally deserves it because he’s played a fantastic season. His goals have made a major contribution towards us finishing so high this season. bundesliga.com: What must Bayer Leverkusen now improve on if they are to get even better next season? Carvajal: We have a very young squad and it’s important that we keep developing in the right direction. If we do, I’m convinced that we will be successful again next season.